Happy Tuesday and welcome back for another colourQ challenge! We’ve got a great set of colors for you to play with today…at least two of them will get you thinking about fall! Here’s my card! The bikes and sentiment are by aMuse Studio. This was also the first time I tried partially embossing cardstock for my card front. I’m very happy with how it came out! 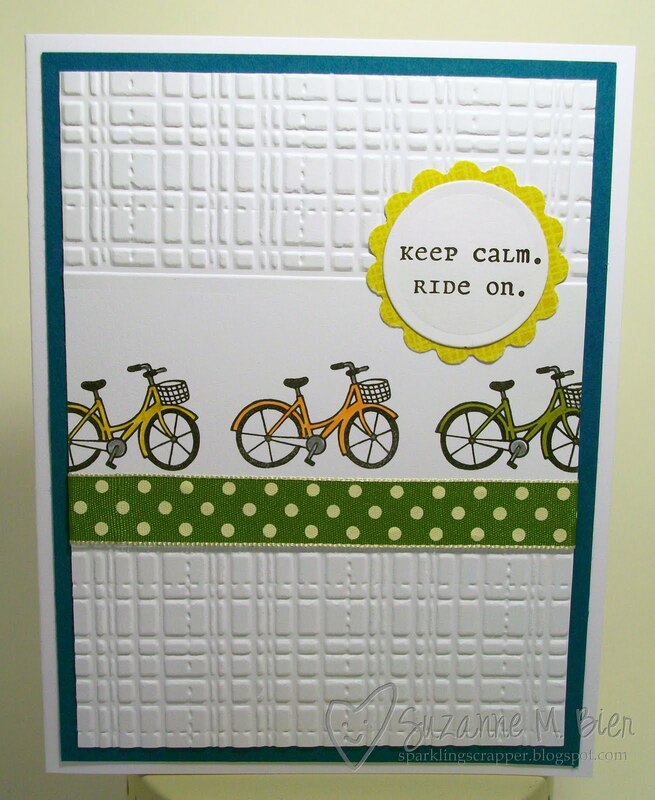 Supplies: stamps (aMuse Studio), card base, white cardstock, colored cardstock (Stampin’ Up! ), Copic markers, Stampin’ Write marker in Crushed Curry, ribbon, glitter gel pen, scalloped circle punch, Sizzix embossing folder, ink (Tsukineko Brilliance in Graphite Black). Still not sure how you’ll use these colors in your entry? You’re in luck! The colourQ Royal Court can help! 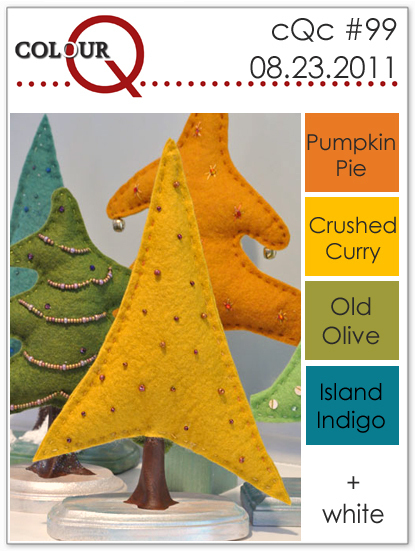 They’ve created some tasty examples to show you with this week’s set of colors. You can see them at the colourQ blog (where you can also link up your entry for this week), or by visiting their personal blogs … just click the links to the left under the thumbnail of this week’s challenge colors! I can’t wait to see what you’ll create with this week’s colourQ! One last thing…to be considered for colourQueen, get your entry linked by noon Central Time on Sunday, August 28!